Description: From 8 to 36 inches tall. Basal leaves are hairy, oval and purple veined. 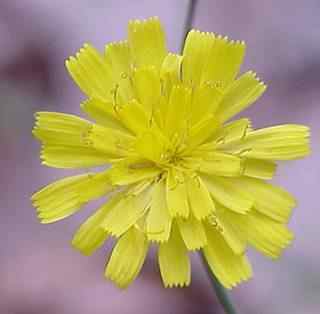 Flowers are dandelion like with long wiry stems, many branches. One of the hawk weeds. 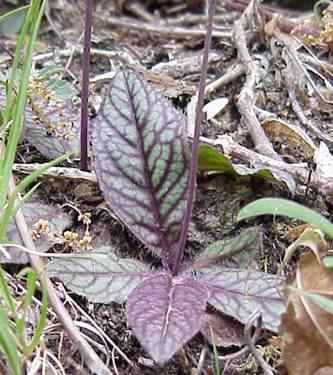 The name Rattlesnake weed is suposed to have originated from some fancied likeness of the purplw veined leaves to a rattlesnakes skin. 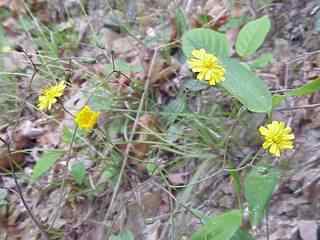 It is also alleged thet in old days a juice made from the leaves of this plant was used to cure ill effects of rattlesnake bites.